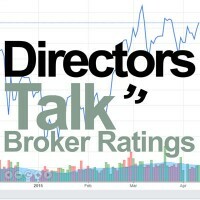 Shares of Micro Focus International plc ticker lookup code: LON:MCRO has risen 1.81% or 22.5 points during the course of today’s session. Buyers have remained positive during the trading session. The high for the period has reached 1284 meanwhile the session low reached 1236.5. The total volume of shares exchanged has reached 1,516,373 whilst the average number of shares exchanged is 2,531,949. The 52 week high for the share price is 2970.5 around 1729 points in difference on the previous days close and a 52 week low being 26.78 a difference of some 1214.72 points. Micro Focus International plc has a 20 day moving average of 1322.7 and now the 50 day MA at 1339.5. Market capitalisation is now £5,679.46m at the time of this report. The share price is in GBX. Mcap is measured in GBP. This article was written with the last trade for Micro Focus International plc being recorded at Tuesday, July 17, 2018 at 4:35:15 PM GMT with the stock price trading at 1264 GBX. The stock price for Mondi Plc ticker code: LON:MNDI has moved up 1.82% or 36.97 points during the course of today’s session. Market buyers have held a positive outlook during this period. The high for the period has reached 2080 and hitting a low of 2030. The total volume of shares exchanged through this period comes to 916,672 whilst the daily average number of shares exchanged is just 1,680,512. A 52 week share price high is 2146 amounting to 111 points difference from the previous close and the 52 week low at 1684 a difference of some 351 points. Mondi Plc now has a 20 moving average of 2039.95 and a 50 day moving average at 2068.12. The current market cap is £10,040.58m at the time of this report. Share price is traded in GBX. Mcap is measured in GBP. This article was written with the last trade for Mondi Plc being recorded at Tuesday, July 17, 2018 at 4:41:51 PM GMT with the stock price trading at 2071.97 GBX. 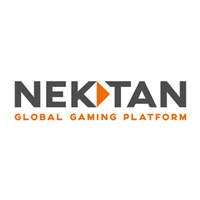 The trading price for Nektan PLC with ticker code: LON:NKTN has stepped up 9.01% or 1.95 points in today’s trading session. Investors seem confident throughout the trading session. Range high for the period has seen 23.55 while the low for the session was 21.1. The total volume traded comes to 17,200 while the average shares exchanged is 69,276. The stock 52 week high is 34 which is 12.4 points in difference to the previous days close of business and a 52 week low sitting at 14 is a variance of 7.6 points. Nektan PLC now has a 20 SMA of 23.09 and now its 50 day moving average now at 23.64. The current market capitalisation is £11.86m at the time of this report. Share price is traded in GBX. Mcap is measured in GBP. This article was written with the last trade for Nektan PLC being recorded at Tuesday, July 17, 2018 at 11:29:38 AM GMT with the stock price trading at 23.55 GBX. Shares in NEXT plc with ticker code: LON:NXT has climbed 1.59% or 96 points during today’s session. Buyers have held a positive outlook during this period. The period high has peaked at 6136 while the low for the session was 6018. The total volume traded comes to 402,434 with the daily average number around 807,021. A 52 week high for the stock is 6224 some 184 points different to the previous business close and a 52 week low sitting at 3653 making a difference of 2387 points. NEXT plc now has a 20 simple moving average of 6047.4 and now its 50 day moving average now at 5945.43. The market capitalisation currently stands at £8,717.15m at the time of this report. The stock is traded in GBX. Mcap is measured in GBP. This article was written with the last trade for NEXT plc being recorded at Tuesday, July 17, 2018 at 4:35:13 PM GMT with the stock price trading at 6136 GBX. Click MCRO MNDI NKTN NXT for the full archive.